Foods that kill cravings can be some of your best allies in the battle to lose weight. You can start a diet with the very best of intentions. You may even have some initial success sticking to a plan and seeing some of the pounds begin to melt away, but sooner or later it's bound to happen. Cravings set in. Cravings are the bane of every dieter's existence. That sudden feeling you've just got to have a chocolate chip cookie, or a plate of Nachos Bell Grande can be overwhelming and nearly impossible to resist. That's why cravings are such pitfalls. Conventional dieting wisdom tells us that the average craving usually only lasts about fifteen minutes, but those minutes can seem like an eternity if you allow yourself to focus on them. If you can occupy your mind with something else, it can help you deal with the craving long enough to resist temptation. Unfortunately, for many of us, the craving proves stronger than our resolution to eat healthier, and all too often the craving wins. In cases like this, it may be easier to head off unhealthy cravings with controlled snacking on foods that kill cravings. Foods that kill cravings can be an indispensable part of most diet plans. Let's take a look at the ones that work the best. Do you crave something sweet? Try some apple. Apples are chock full of fiber, more than just about any other fruit, including the much lauded grapefruit. Fiber helps your tummy feel fuller, which will help you to stop eating sooner. Less food, ergo less calories. Blueberries are packed with flavor and fiber. 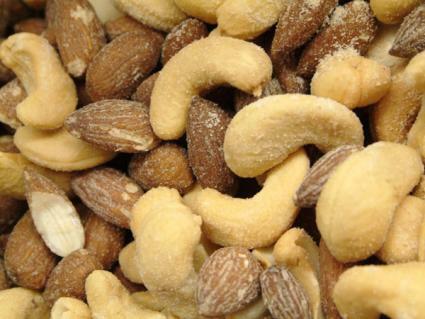 For added snacking satisfaction, combine them with nuts to conquer both sweet and savory cravings with one blow. Nuts are more high fiber foods that kill cravings. Nearly any nut will help satisfy your desire for something to nosh on, but almonds and possibly pine nuts seem to do the trick the best. Research suggests that almonds keep the body from totally absorbing fat, so eat them as a snack or sprinkle them on top of other foods to add flavor and fight fat. Believe it or not, spicy foods can help you beat food cravings in several ways. Spicy foods like Jalepeno peppers can burn and dull your taste buds. If you can't truly taste your food, you're bound to quit craving it. Many spicy foods actually boost your metabolism, helping you burn calories more efficiently. Warm foods tend to feel more satisfying to an empty stomach so you feel full sooner. Just make sure the foods you choose are extremely low in fat. Just like warm foods, a good hot cup of tea can help you fill your stomach, but keep you from consuming calories. Go the extra mile and select a high quality green tea and enjoy the benefits of extra anti-oxidants that will also jump start your metabolism. High in fiber, low in calories and full of flavor, raw veggies can satisfy many types of cravings. Carrots and bell peppers can kill cravings for sweet foods. Tomatoes are a good substitute for savory snacks. Celery is the powerhouse of vegetables, burning more calories during digestion than it actually contains. Nothing helps boost your metabolism like water. Your body needs to be fully hydrated to run efficiently. Consuming fresh water also helps your body let go of the water it's storing, commonly referred to as water weight. Although you may initially find yourself heading to the bathroom more often when you consume six to eight glasses of H2O each day, this eventually levels off once your body no longer feels the need to store excess water to stave off dehydration. Keep in mind that it's possible to make yourself sick by consuming too much water, so don't go overboard. Just stick to the current recommendations. Head off cravings with controlled snacking. Consuming a small handful of nuts or trail mix or some raw veggies every few hours will give your body a constant supply of low-calorie fiber and keep you from having bigger cravings. Eat an apple before you have a full meal. The fiber will help you resist the urge to binge. Drink a glass of water fifteen minutes before a meal. It will help your system digest food more efficiently. Try sniffing peppermint, bananas or green apples. According to the Smell and Taste Research Foundation, the smell of these foods can trigger a chemical response in the brain that makes you feel less hungry.